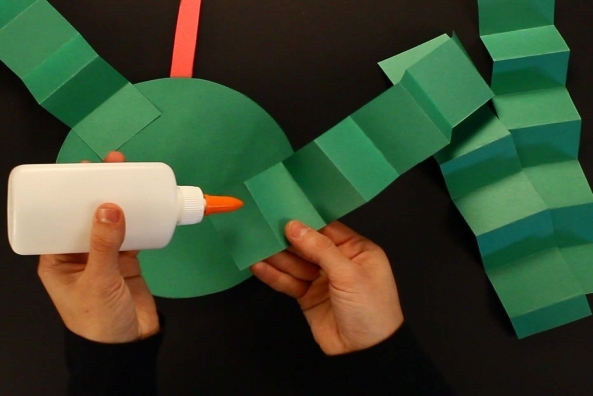 There is so much you can do with construction paper and glue. 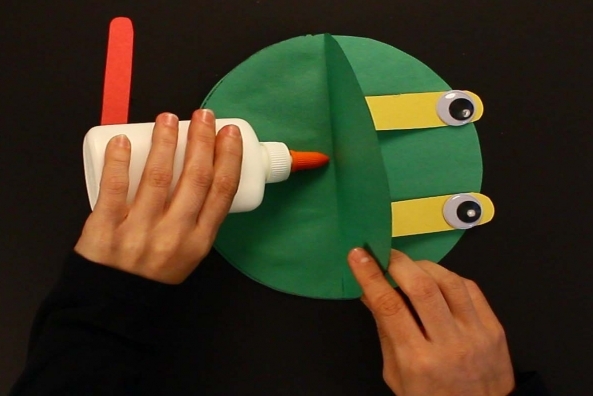 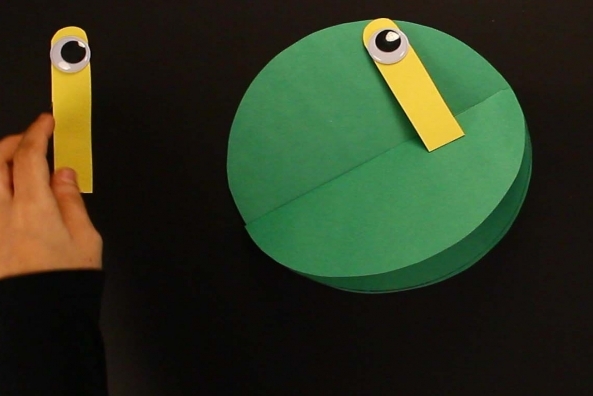 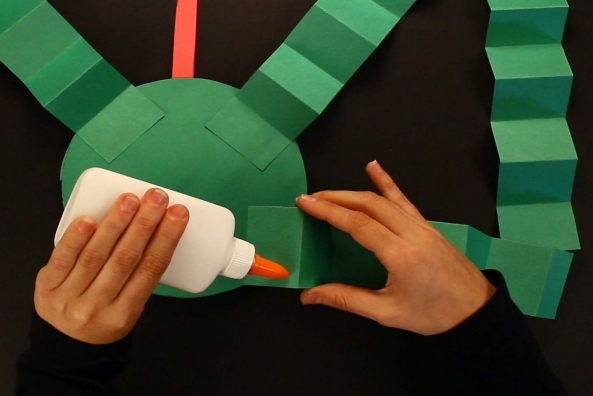 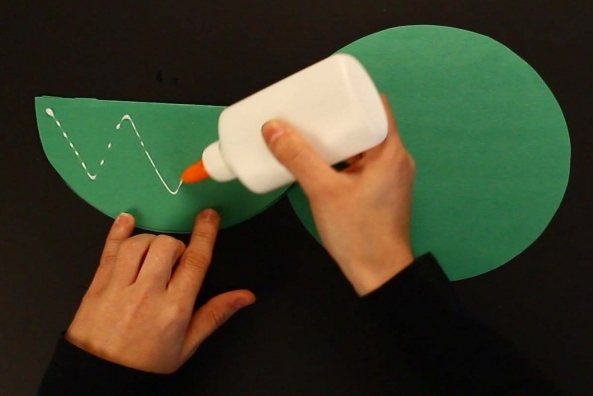 With this craft, you’ll make a fabulous frog in just a few easy steps. 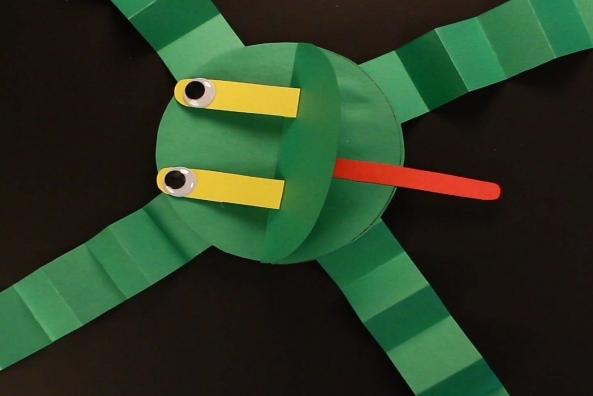 Is your frog a swamp frog or a tree frog? 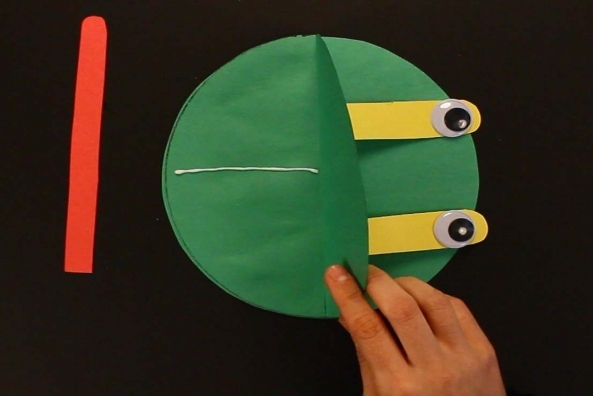 Enjoy this fun story about a wide mouthed frog and make your own! 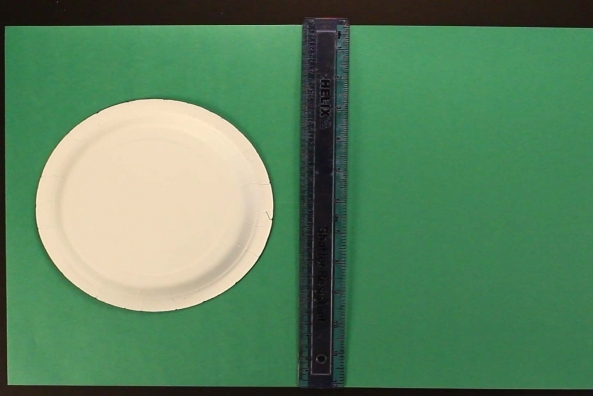 Trace a plate two times. 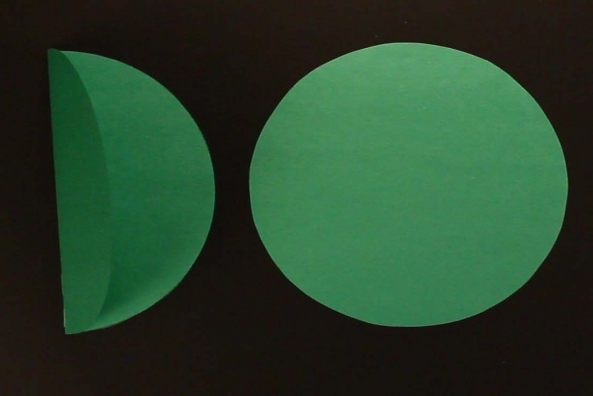 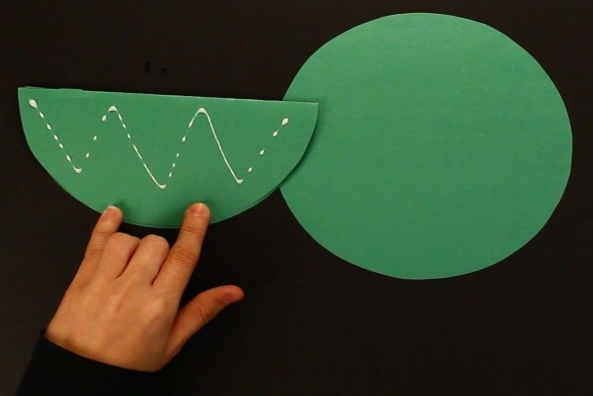 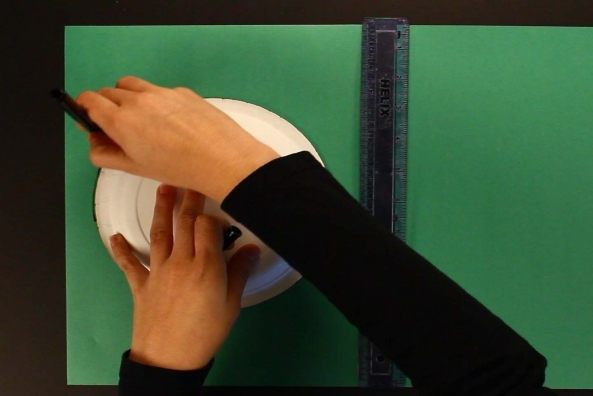 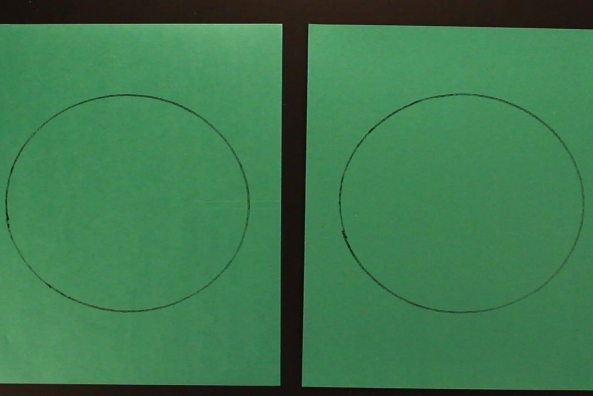 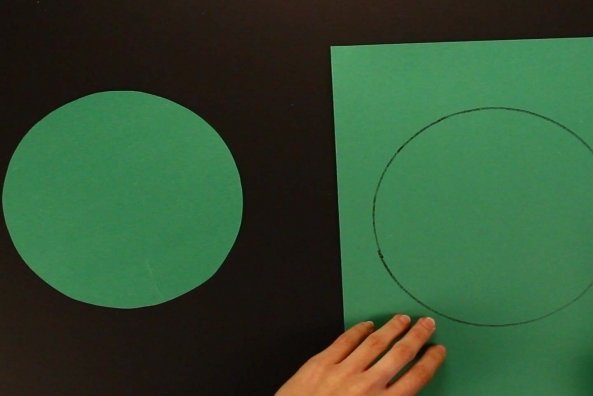 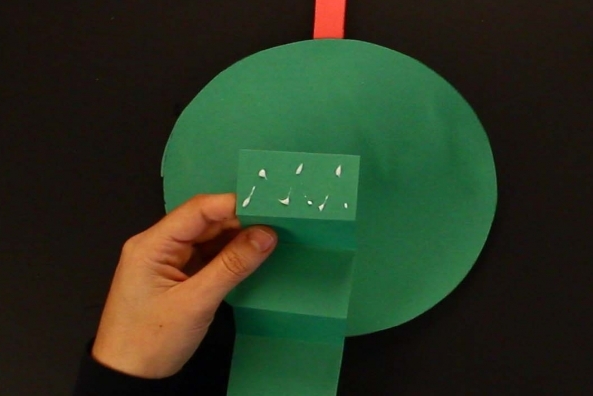 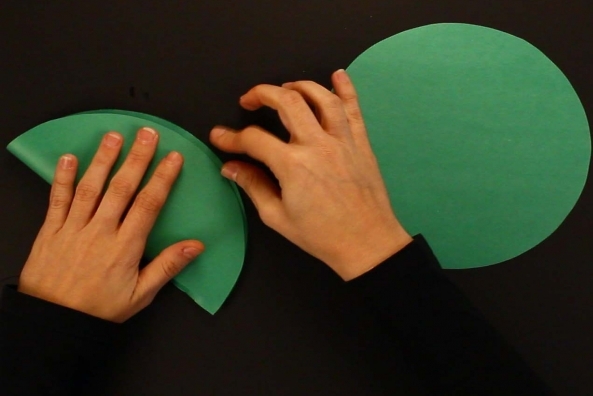 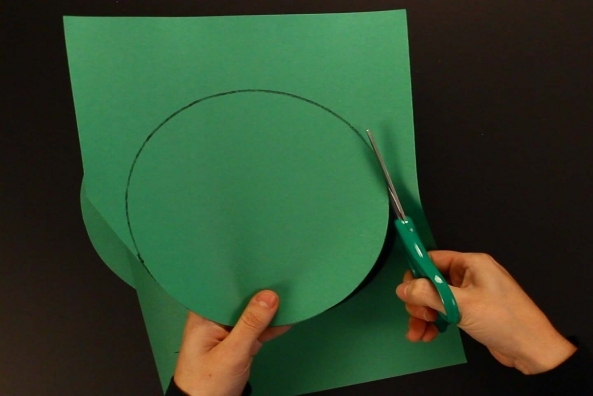 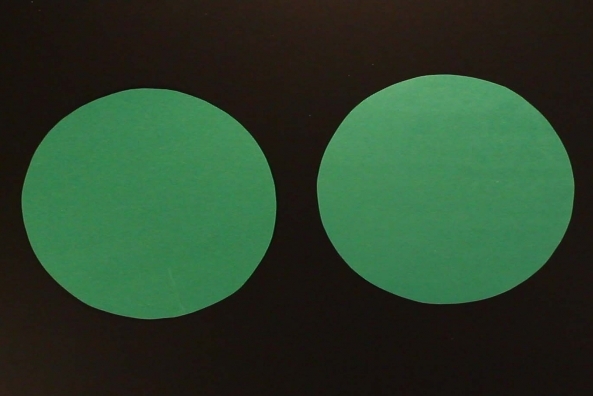 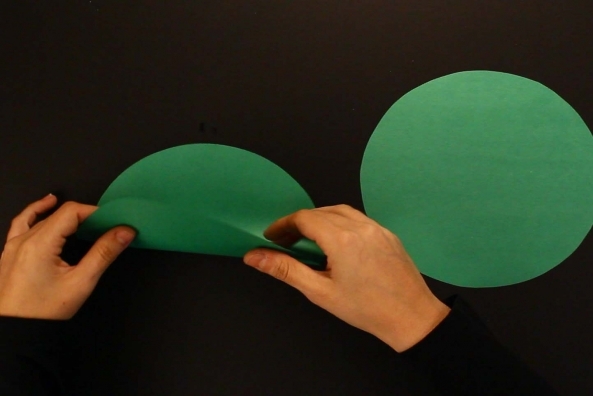 Trace two large circles on green construction paper using a plate. 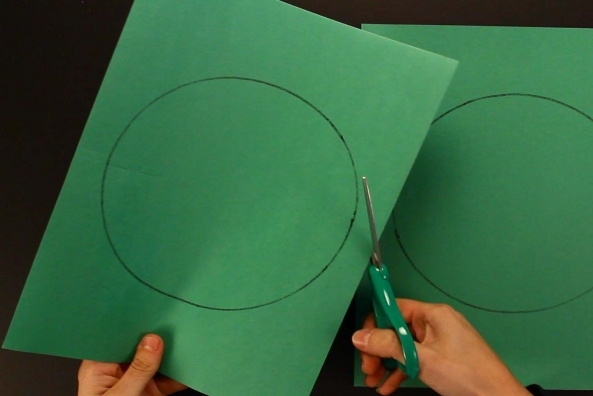 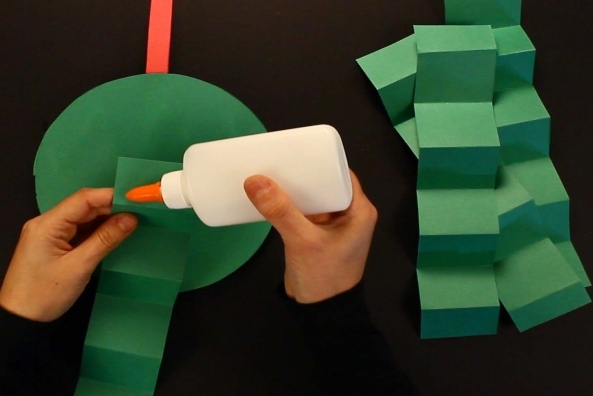 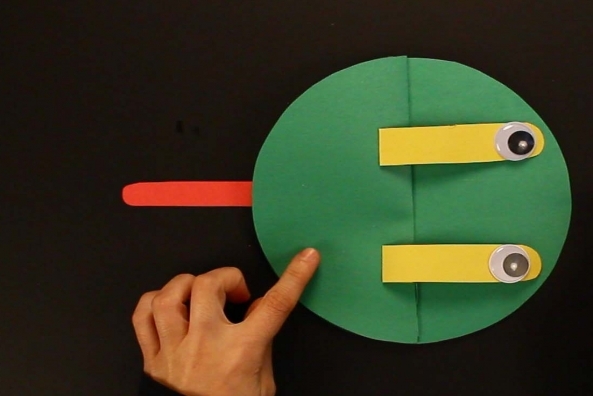 Cut the circles out of the green construction paper. 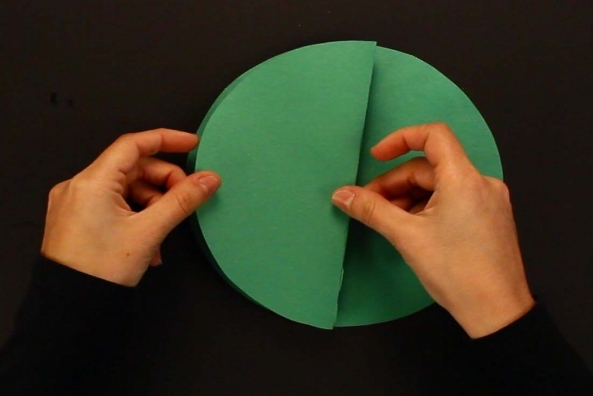 Fold one of the circles in half. 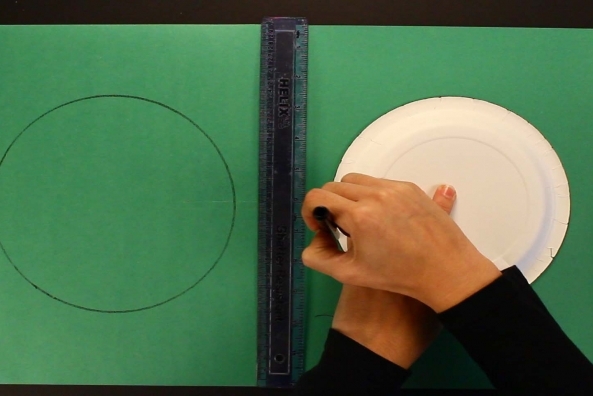 Glue the folded circle on top of the other circle and let dry. 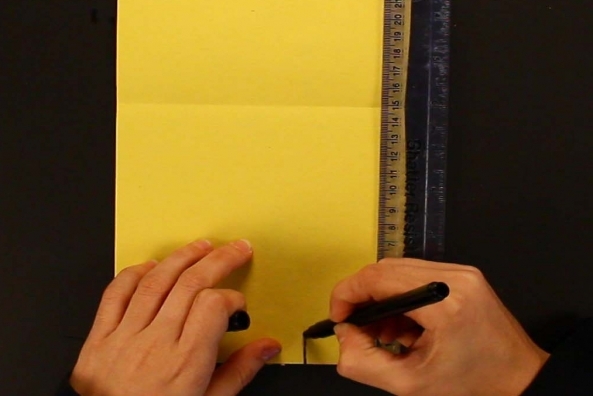 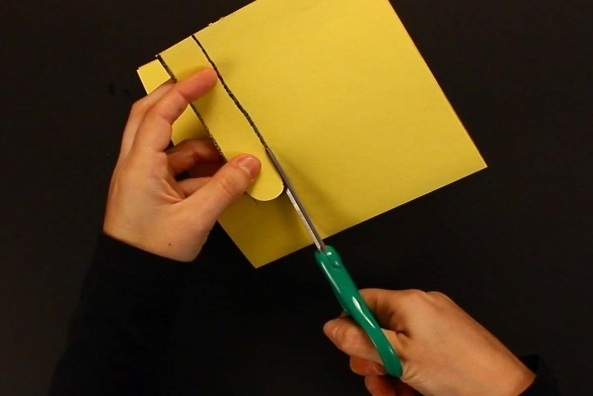 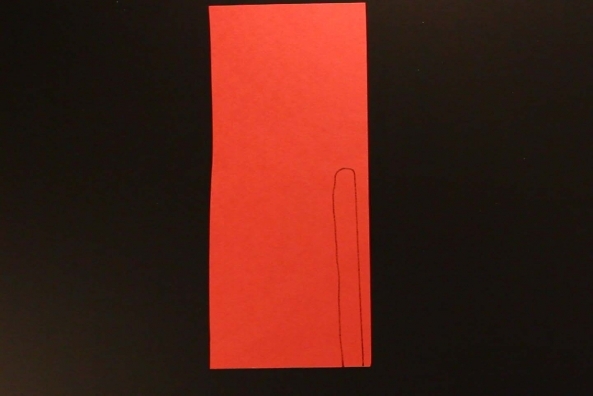 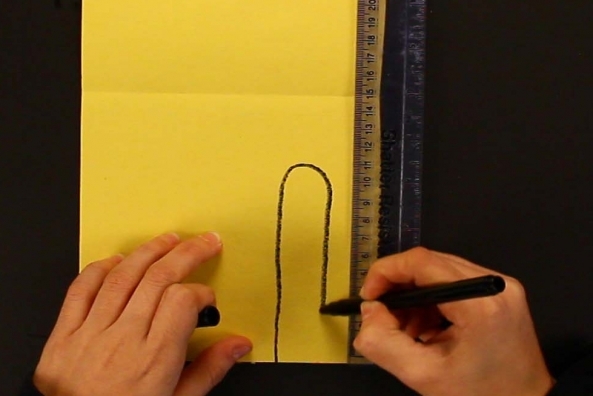 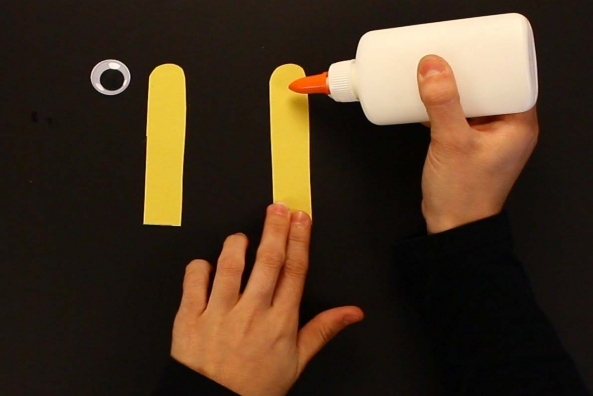 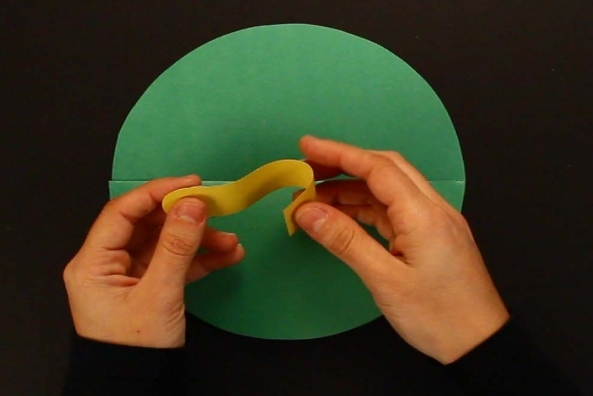 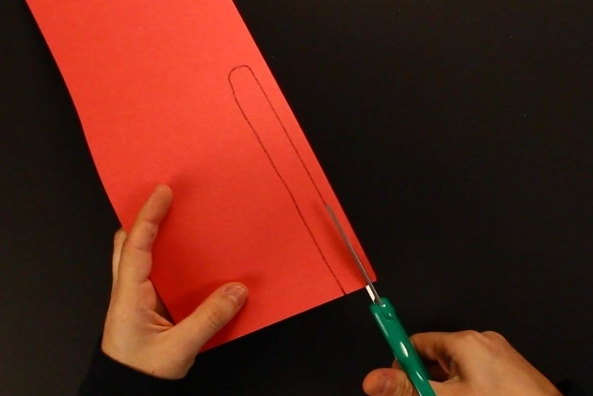 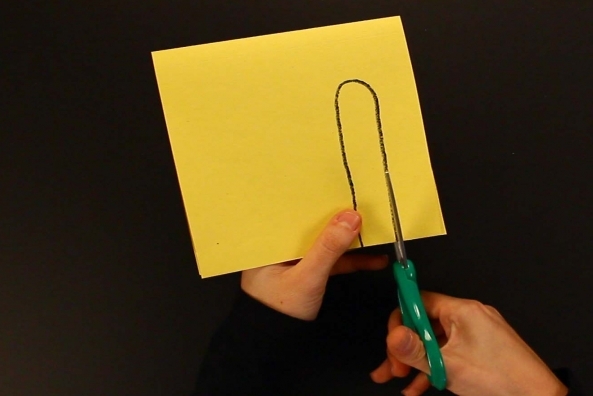 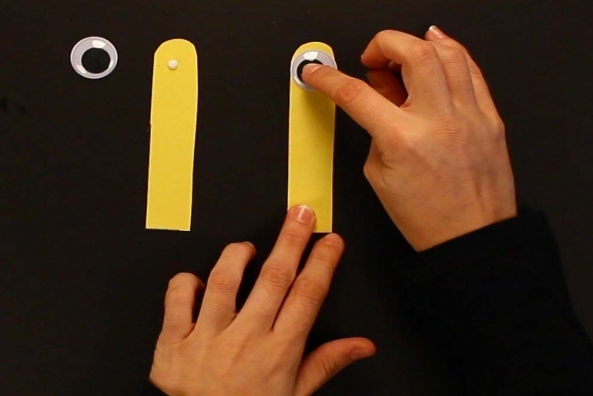 Draw a U shape on a piece of yellow construction paper around half your hand’s length. 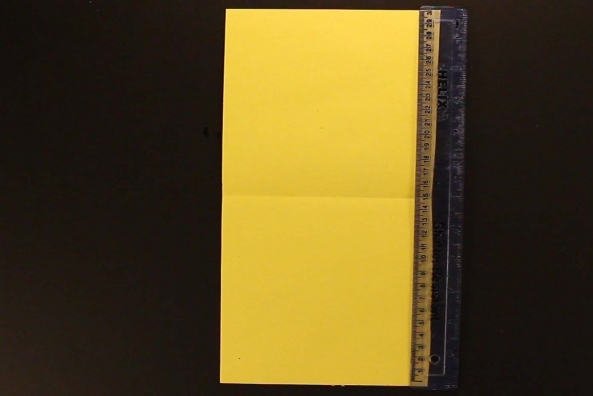 Fold yellow paper in half. 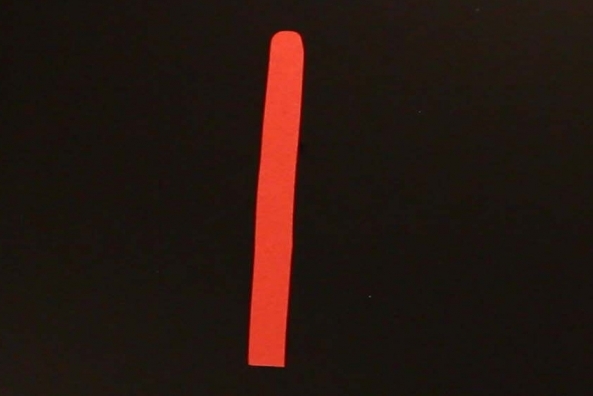 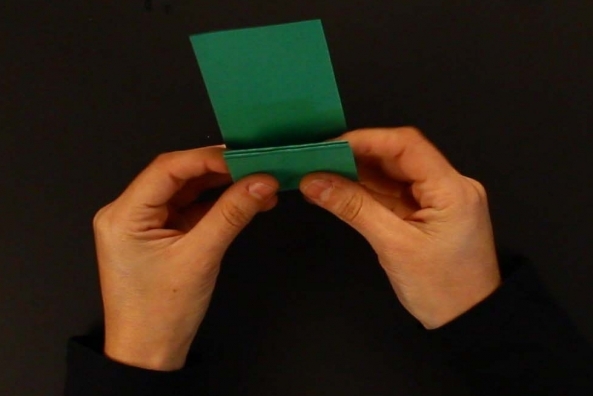 Draw the U shape on the fold. 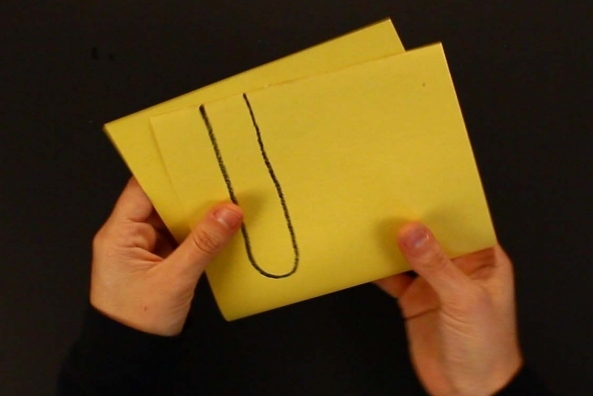 Make 2 U’s at once! 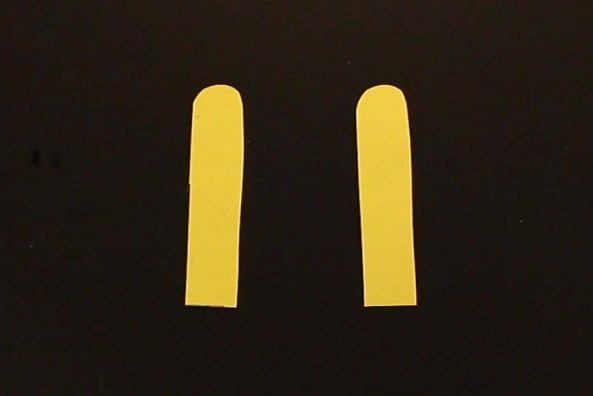 Cut two U-shaped pieces from piece of yellow construction paper. 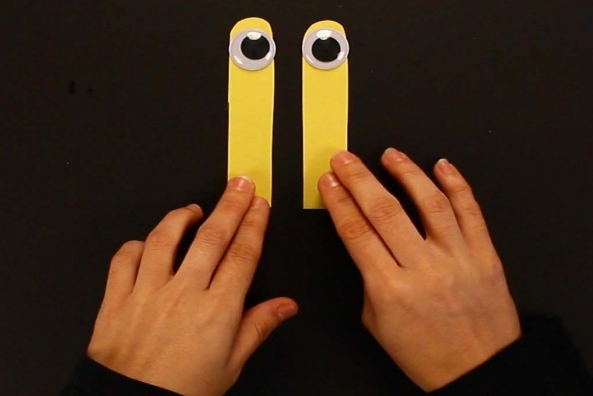 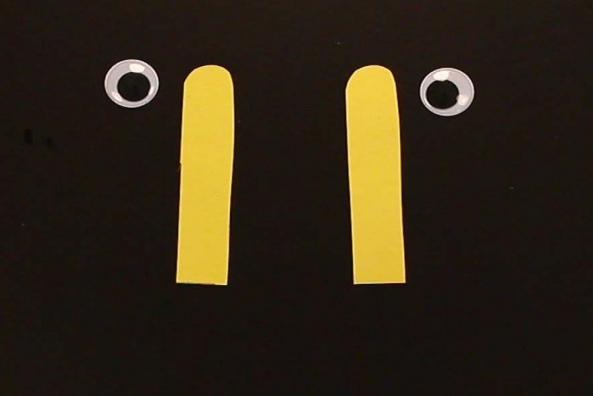 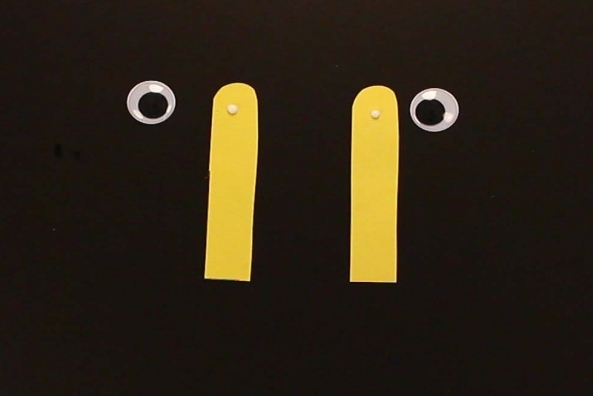 Glue a wiggly eye onto each yellow U. 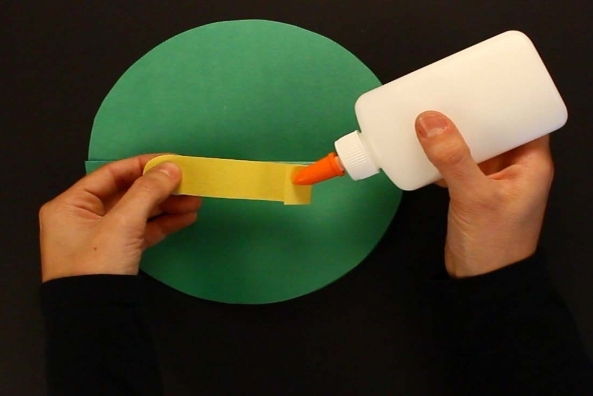 Glue yellow U's to green circle. 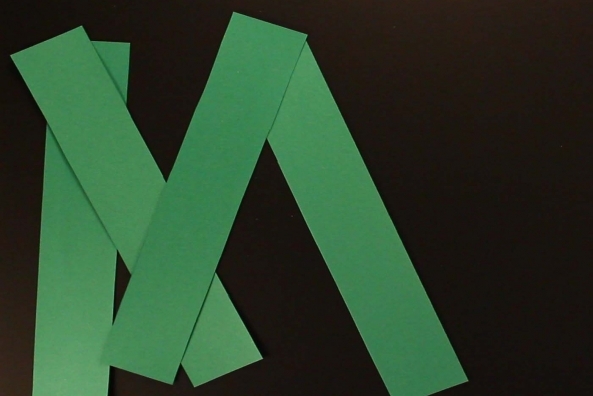 Glue the U’s onto the top of the folded circle so that they stick up. 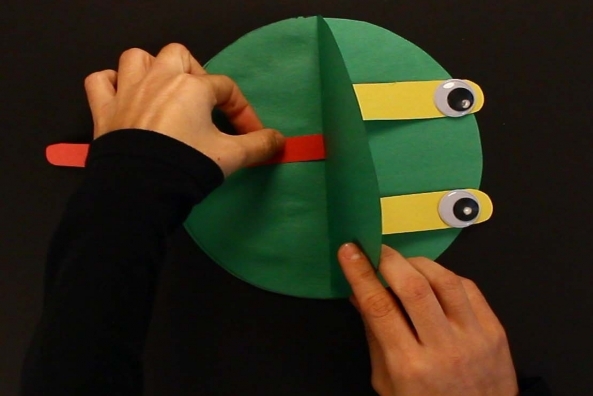 Fold a small piece of the yellow paper to make a tab for gluing to frog head. 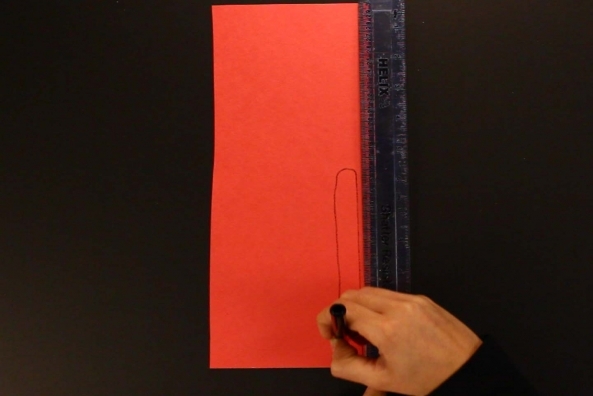 Draw a tongue on a piece of pink or red construction paper that is around your hand’s length. 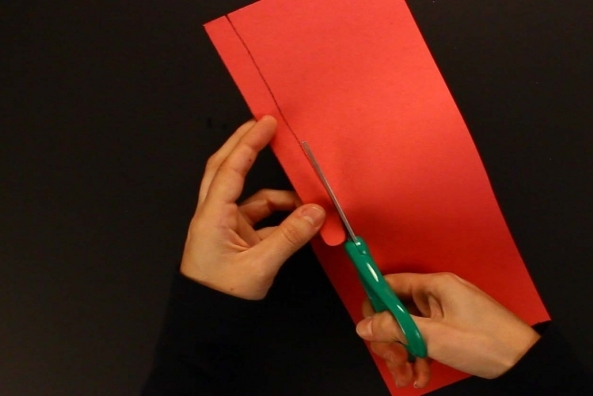 Cut out a tongue from pink or red construction paper. 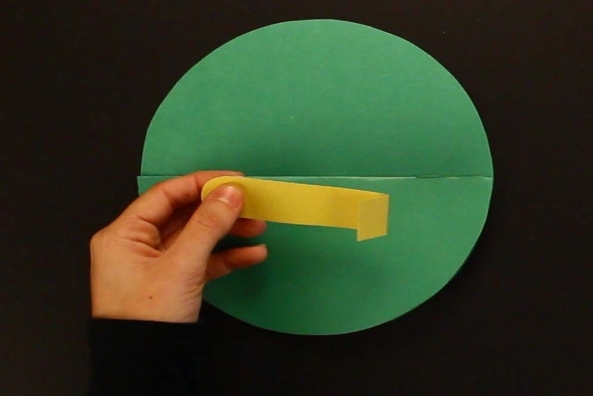 Glue tongue inside of folded circle. 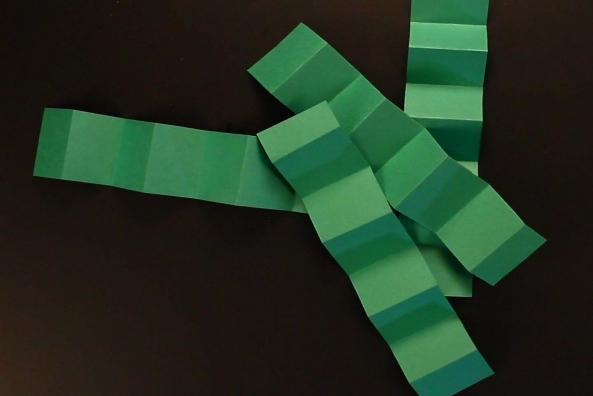 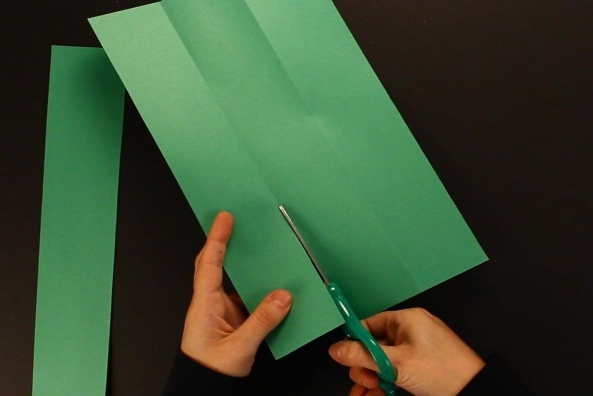 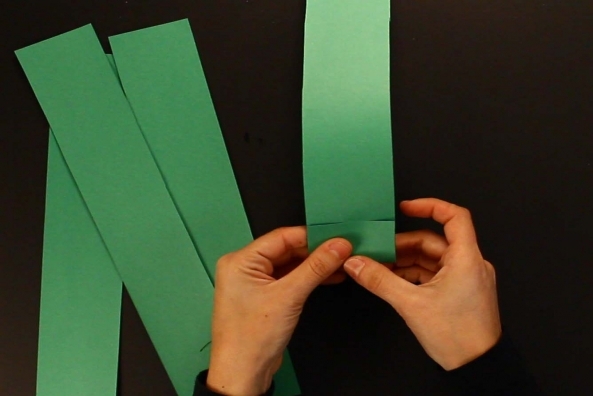 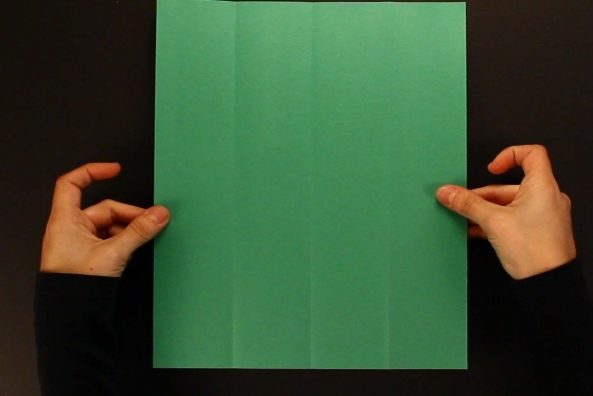 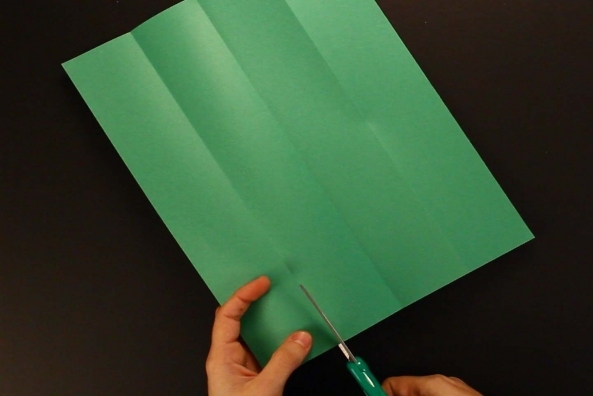 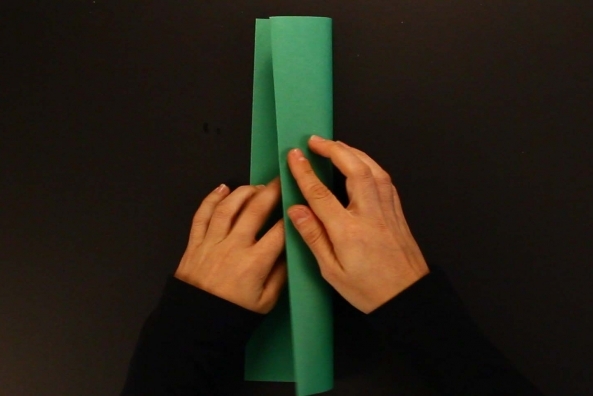 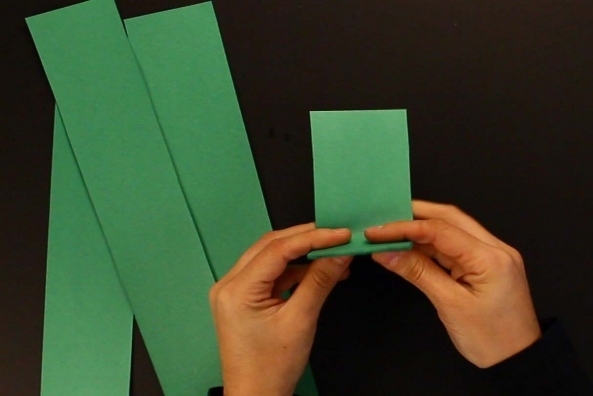 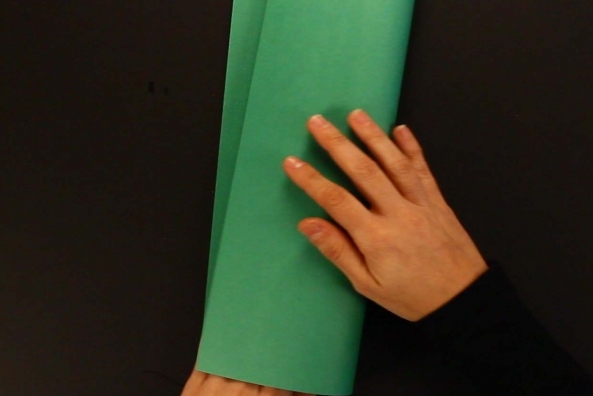 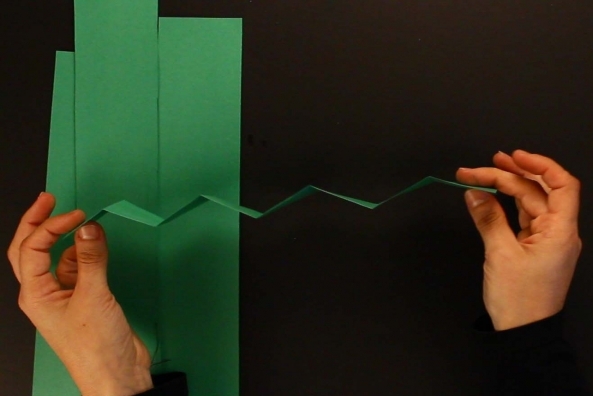 Fold a piece of green construction paper in half once and then again to make four strips the same size. 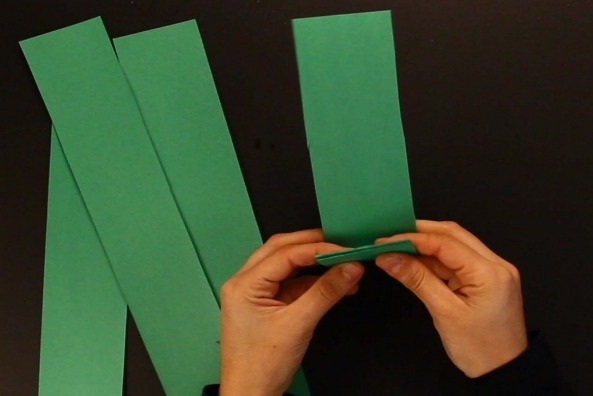 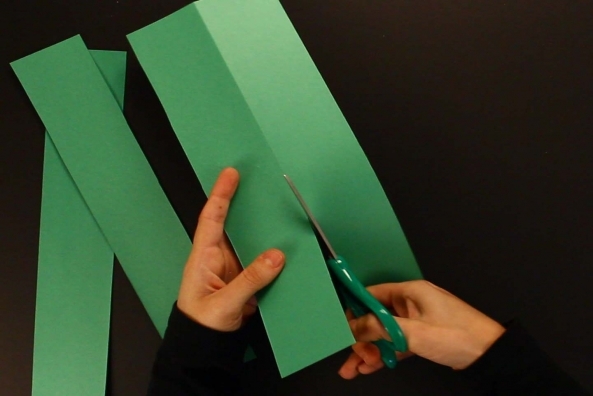 Cut four strips of green construction paper. 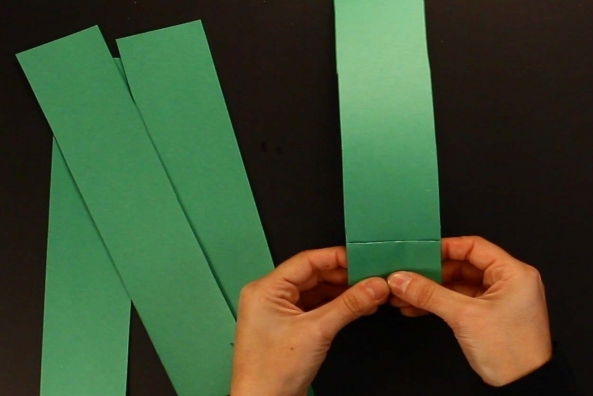 Bend each strip back and forth to make an accordion. 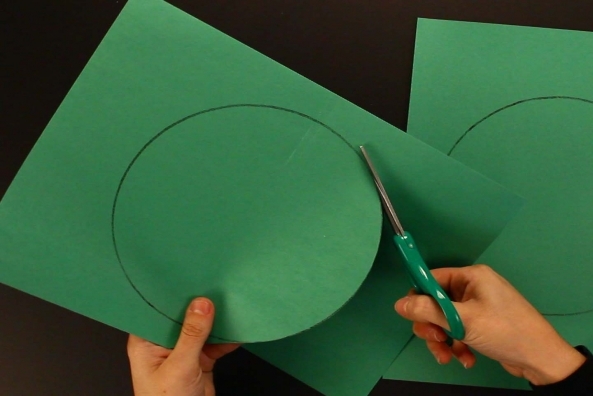 Glue each leg to the bottom of your circle body for legs. 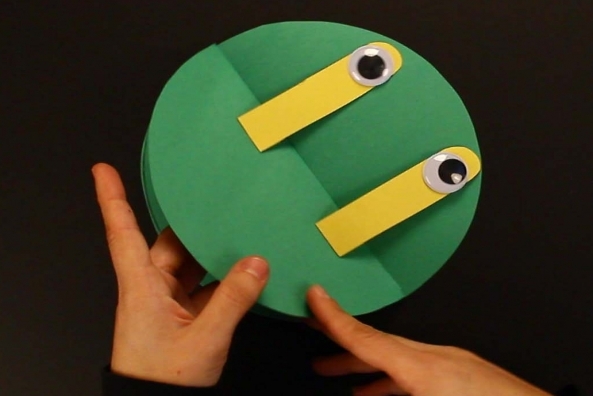 Practice your best frog impressions with this adorable wide-mouthed frog.